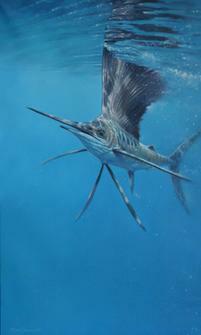 "Mike Jackson is known over much of the western world for his amazing ability to seek out and paint in detail the wildlife he encounters while trekking and traveling all over the world. What his fans are discovering now is that his portraiture is also extraordinary and set above most of the portraiture you find these days. It if often that people visiting the gallery will come to a dead stop in front of his work and almost reach out to touch the painting as if they are wanting to feel the texture of the skin. 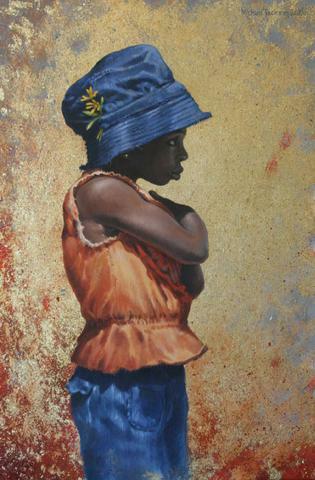 He is known for feathers and fur and even striking underwater scenes, but it is worth a trip to the gallery to see his paintings of the children he encounters in his travels. His method of laying down layers of paint creates a special luminosity to his work. 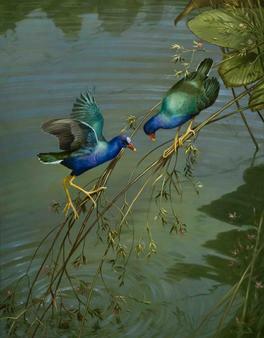 When water is involved in his paintings, it looks like real water and you find yourself looking through the water to whatever is at the bottom of the creek bed or swimming in it. 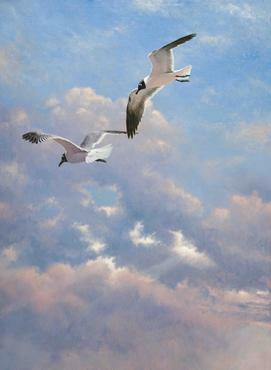 His detail lets the viewer know that Mike was there, up close and personal, catching every nuance for his paintings." My philosophy is: “Enjoy life to the full, work hard, play hard and give generously to the things that are important to you. Love your friends and family, cherish your children, give thanks to God for the good things in your life, but remember to live for today, for tomorrow is not promised”. Michael Jackson's portrait work is performed in the classic European method of extraordinary attention to expression and smoothness of transition. Unexcelled radiance in skin tones is a defining keystone in his portrait work. Extraordinary! "I use the same techniques as the old masters such as Titian, Van Oz, Alma Tadema etc it is achieved by preparing the canvas properly with up to six coats of gesso, and then the paint is built up in thin layers, each one being carefully flattened out with a sablemop brush to eliminate any brush strokes, it takes time and patience, but I think well worth the effort." Considered to be one of the world's leading wildlife, portraiture, and muralist artists, Jackson's original paintings are eagerly sought after by discerning collectors across the globe, and are both highly collectable, and investment grade art. Born in 1961 in Preston, Lancashire. 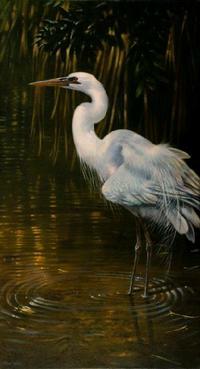 Michael has been interested in wildlife, drawing and painting since early childhood. After leaving school he studied illustration for 4 years at Blackpool College of Art. He was the first student ever to be achieve a distinction and was awarded the “Student of the Year” title by the Rotary Club of Great Britain, in recognition of the exceptional quality and detail of his work. After leaving college in 1982, Michael became a full-time fine artist, specialising in advertising illustration, he also worked part time at Blackpool college to teach Natural History, Scientific and Technical Illustration for over 5 years. 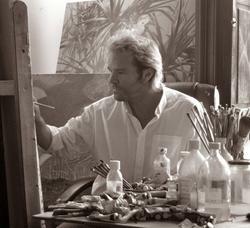 Since his very first exhibition at the Ethos Gallery Clitheroe in 1982, he has had many sellout exhibitions in the UK, America, Barbados and Bermuda, as well as achieving record prices for his work at Christies, Sotheby’s and Bonham’s. He was exclusivley represented for fifteen years by the Halycon Gallery in London’s Mayfair. Michael’s quest for inspiration leads him to travel the world in pursuit of the subject matter that fuels his passion to paint. He chooses to explore those countries that provide opportunities for observing the wonderful multiplicity of life, and has had the good fortune to see exceptional species such as the endangered Bengal tigers and the mountain gorillas of Rwanda. He is a committed conservationist, and has worked with charities such as Fauna & Flora International, The Rainforest Foundation and Care for the Wild, amongst many others. Michael has proven to be a good citizen of the world helping fund projects to raise the educational levels in areas without schools. "Michael is engaged in making the world a better place," Martin says.